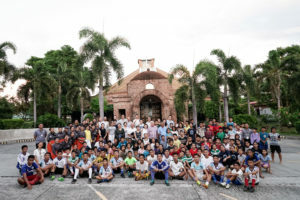 It was our first time holding venn in Manila but it appears to be the best yet – there were lots of learning, some laughter, unexpected tears, tons of sharing, and an endless source of inspiration from the whole group that gathered. We listened to members’ feedback from previous years and added more opportunities for interaction within the group, and to be able to hear more about what each other are doing. What set the tone for this was the simple game of getting members to find their “mission targets” with cryptic clues. This was part of their “mission dossier”, which was really APC’s annual report for 2017/18. So why were there tears? This year’s site visit brought us to Tuloy village, a school and centre for street children. We were guided around the campus by student ambassadors and APC members got to interact with them on a one-on-one basis, learning about their complex backgrounds, their lives at Tuloy, their dreams and their aspirations. The learning that most got from this trip, which was mentioned many times the next day, was the importance of the soft skills that Tuloy’s culture instilled in the children – the discipline and persistence. But what was also starkly critical was the sense of love, dignity and hope that the founder, Father Rocky, was able to pass on to them. The facilities and infrastructure at Tuloy were impressive, but what touched us at the end was when the group of students started singing, some still in their chef and service uniforms – and they sang so beautifully with such gusto and conviction that it was hard not to shed a tear. 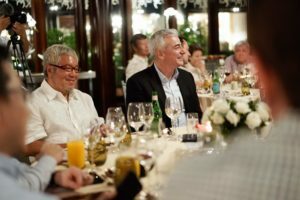 Venn2018 was co-hosted by two of our Filipino members, Fernando Zobel de Ayala and David & Hazel Zuellig. Fernando joined us for the welcome dinner, which was held at the Peninsula Hotel at the Ayala triangle. Before dinner, dancers from the Centre of Excellence school gave an elegant performance. Again, these were students from underprivileged backgrounds, but supported and nurtured to great heights through philanthropic support. The prevailing thread on the first day was that when given the right access, opportunities, support and belief in them, the children from disadvantaged backgrounds can truly shine. The second day at the artistic Manila House Private Club was jam-packed with discussions on philanthropy and deep diving into topics on education, rural development and healthcare. 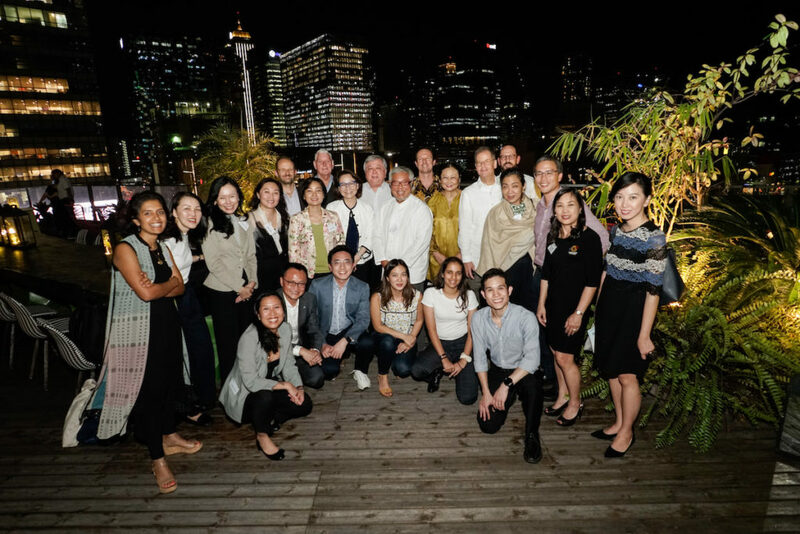 Guest speakers, David Bussau, founder of Opportunity International, Carmencita Abellla, President of Ramon Magsaysay Awards shared their experiences on how philanthropy can better address endemic issues in the region. Moderator of the session, Ernesto Garilao, is President of Zuellig Family Foundation, but also the former Secretary of the Department of Agrarian Reform. 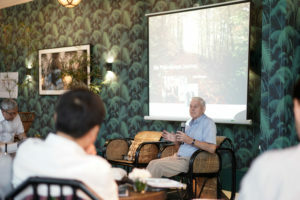 Bussau, a serial social entrepreneur and Senior Australian of the Year in 2016, started 11 organisations in the Philippines alone and has already been working in the country for 40 years. 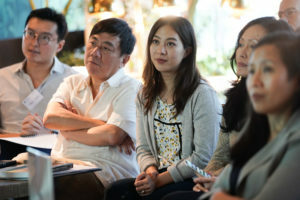 Beyond that, his organisations in North Korea, Vietnam, Indonesia also work in different areas of community building addressing different needs. The APC group continued to tap into his wealth of experience throughout the day, from microfinance and insurance, to community building and working with farmers. In the afternoon, we heard more about local members’ journey conducting philanthropy in the Philippines. Aside from David Zuellig and Rina Bautista-Lopez, Nanette Medved-Po also joined us to explain her social enterprise model of building schools through selling bottled water. Her belief in not adding social and environmental problems through her core business by recycling the plastic bottles into ecobricks that built the schools also intrigued many present. This year, we had the most diverse set of attendees, with members and guests coming from Malaysia, Indonesia, Thailand, China, Vietnam, Cambodia, Australia, Singapore and the Philippines of course. Members not only brought their spouses, but also their children. Some reflected that getting their family members to share in their philanthropic passions was a priority for them and they hoped APC could be the platform for this. Look out for more learning journeys that will involve your families, and Member Interest Groups for younger next gen! 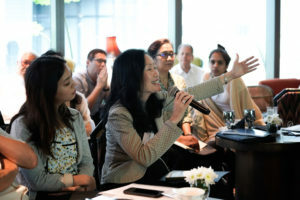 Members also agreed that publishing the ASEAN Philanthropy Framework would be a good endeavour by APC in building the philanthropy ecosystem that would affect all of them and have greater impact beyond our group. 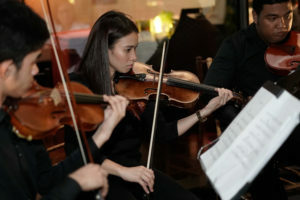 Before we headed off for dinner, we were regaled by a string quartet from the Ang Misyon Symphony Orchestra, with an introduction by Rina as the orchestra, which was formed by youths from low-income backgrounds, was founded by her brother Piki Lopez. Indeed, throughout this short trip, our members were fully exposed to the exquisite performative talents of the Filipino culture. The closing dinner was hosted by David and Hazel Zuellig, who were not only with us the full day and half, but also prepared thoughtful and lovely gifts with Filipino snacks and cook book! The night was not over for some members though, Laurence brought a group to a speakeasy bar to end off the gathering. Many had so much fun and great take-aways from this trip that we promised they do not have to wait a year for the next venn in Singapore. Save your dates for our upcoming learning journeys to Cambodia in March and the United States in April! Watch the video highlights of venn2018 here and photos here. Each year, we ask a few of our members why they joined APC, what the driving force of the philanthropy is, and how APC complements their philanthropy. This archive of insightful anecdotes will continue to grow, and you can learn more about your fellow members here.